"The Cooking Cooks company was founded by three close friends who shared a passion and skill for good food and good times. Specialising in Italian cuisine, they only use the freshest ingredients sourced locally in the UK or in Italy, they believe this is the only way to cook real authentic Italian food. 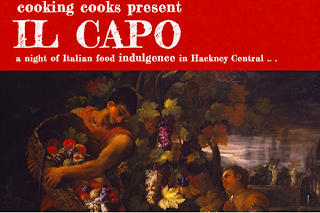 Their kitchen in Hackney was originally built for Gordon Ramsey for Cook Along Kitchen and is the perfect setting to host their Il Capo supper club. 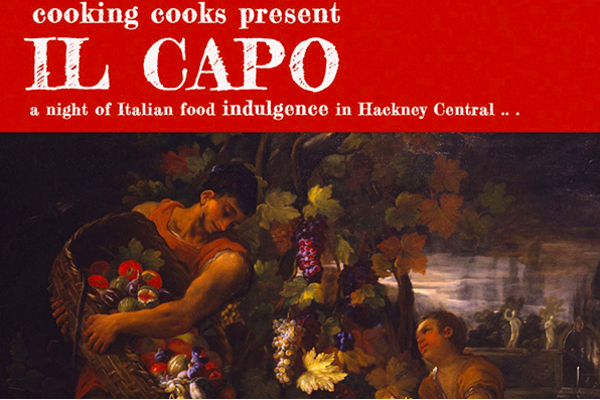 Il Capo is going to be an evening filled with genuine Italian cuisine, plenty of prosecco and live music. This will be a memorable experience for all you foodies in London and is worth the travel for those who are not."